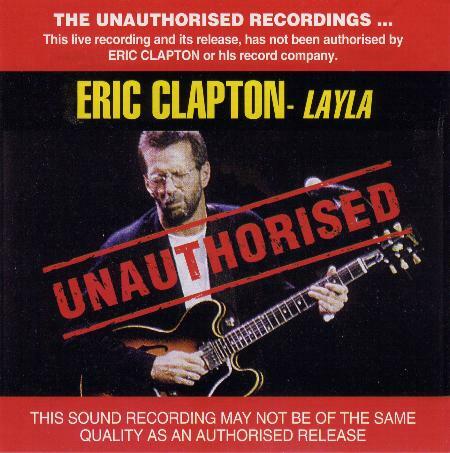 Eric Clapton - Layla "Unauthorized"
Track 1 Recorded at MTV Video Awards, Pauley Pavilion Los Angeles on 9/9/92. 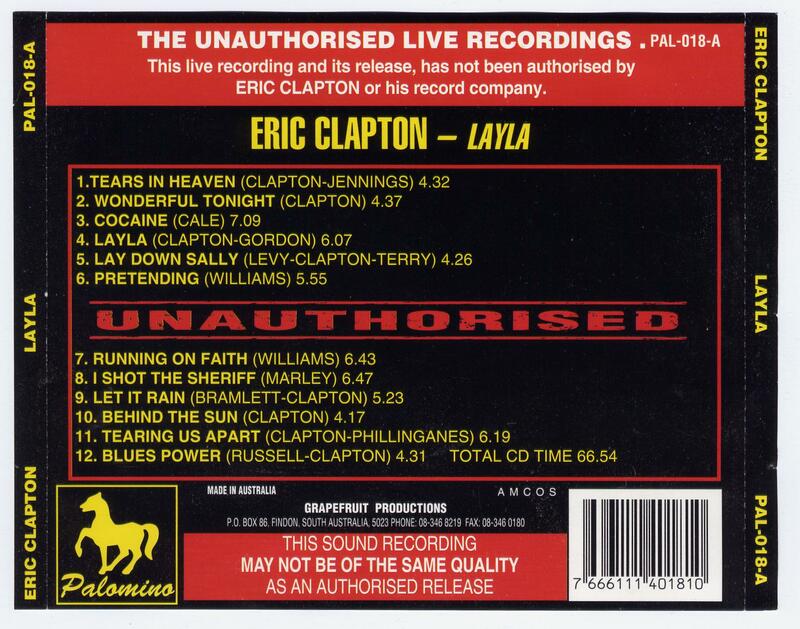 Tracks 2, 4, 8, 9, 10, and 12 Recorded at the Coliseum, Richmond, Virginia on 22/04/85. Tracks 3 and 11 Recorded at the Royal Albert Hall, London, on 12/1/87. Track 5 Recorded at the Stadthalle, Bremen, on 20/04/83. 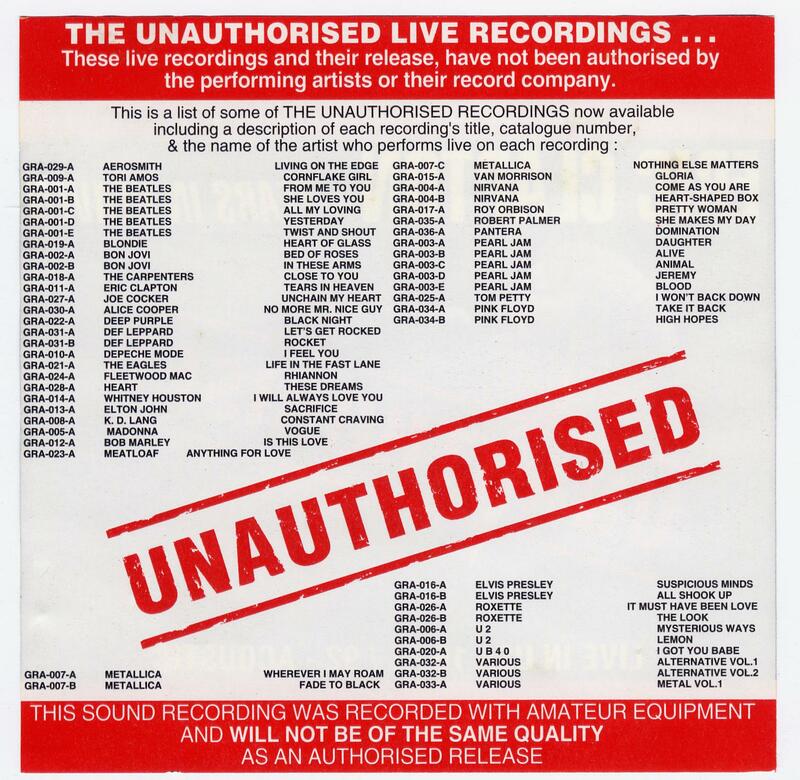 Tracks 6 and 7 Recorded at the Royal Albert Hall, London, on 24/01/90.